Holidays are good, aren't they? With all that has gone on this past year, having the opportunity to go away for a week was a real blessing, grasped with both hands. Annie and I flew out to Spain on September 6, arriving in incinerator hot Malaga by lunchtime. We had a bit of a wait to pick up the hire car – in fact, it took almost as long as the flight, the queue was so long, but that was soon forgotten as we headed off down the coast to Motril and then north to Orgiva, the small town in the valley at the western end of the Las Alpujarras region, south of Granada. It's an area we know quite well, having been twice before. Orgiva is a simple town, dominated by a twin-spire church, bandy-legged, die-haired old biddies and a large dreadlocked hippie community who are predominantly English and well-spoken. Trustafarians as Annie calls them. It's hot and dusty, and the atmosphere is laid-back. The surrounding countryside is breathtaking. 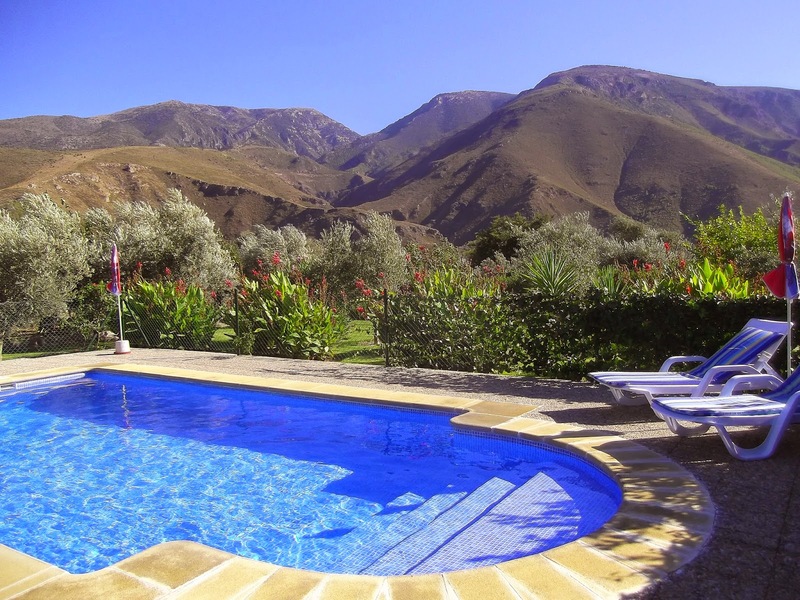 Mountains dominate both north and south, and holiday villas are peppered around the outskirts of the town, one of which, Casa Vincente, we were staying in. 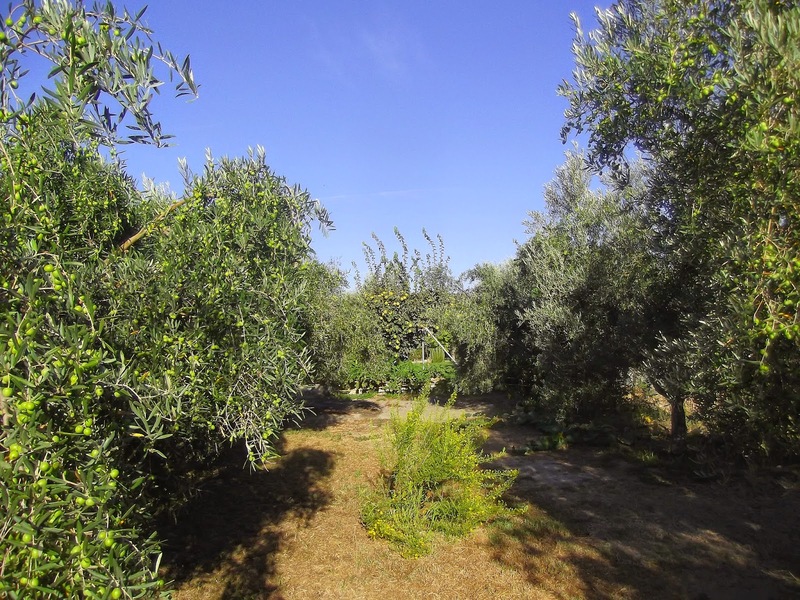 Once we met up with the owner and were led to our destination – a gated-off, three-bedroomed villa, with a private pool surrounded by orange and olive groves, we instantly settled into holiday mode and relaxed. While there is some very good birding to experience in the area, particularly in the mountains of the Sierra Nevada, September isn't the best month. Spring and October are the best times to visit, but we were aiming to eat and drink well, enjoy the pool and the sun as well as me having the chance to spend a bit of time looking for birds. 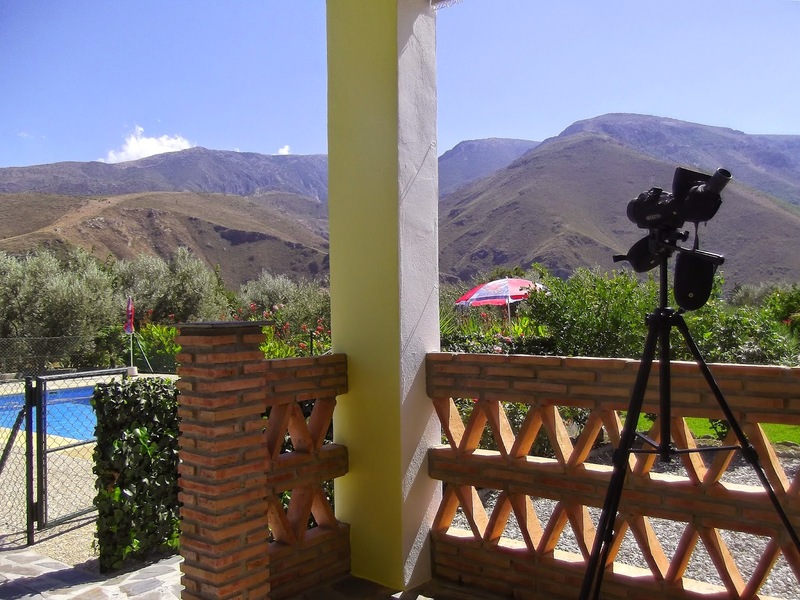 The Sierra Nevada is a hot-spot for birds of prey, predominantly eagles and vultures, while the valley area is good for Bee-eaters and Golden Orioles, with plenty of good habitat for other species. I had a wish list, obviously, but I tried not to focus on that too much in case I was disappointed. I just went out to try and find what I could. I had two main areas to focus on. One was the meandering drive up the mountainside towards Trevelez, one of the highest settlements in the region at 1486 metres, that sits below two of Spain's highest mountains, Mulhacen and Alcazaba. 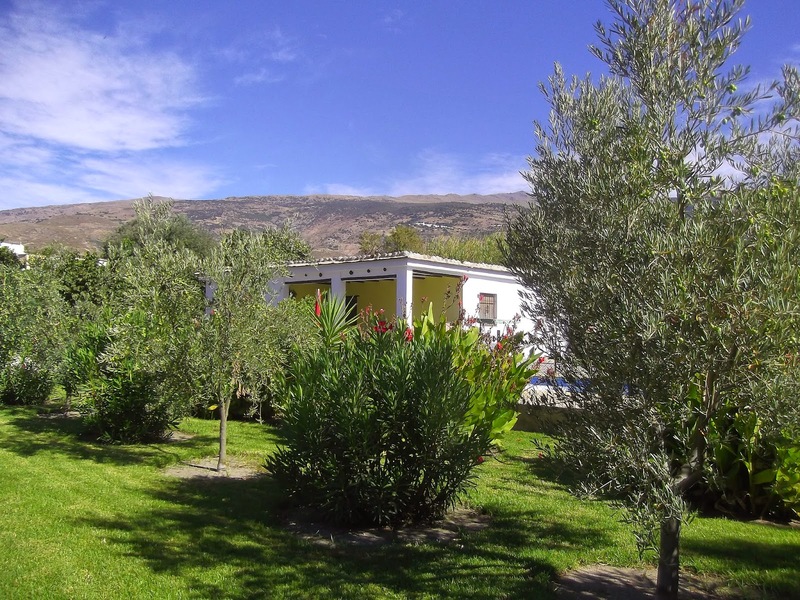 The other was the garden area of the villa, which had a great view of the surrounding countryside, as well as decent habitat within it. As the week progressed, the garden patch list became quite extensive, and very satisfying as a result. So, now settled in, time to focus on the birds. Sunday was spent at the villa. We were tired from travelling the day before so having gone shopping for food the night before, a chicken was roasted for a late lunch and we ate and drank wine all afternoon. While we relaxed during the day, I wandered around the garden and managed to start up the beginnings of a tidy garden list. First on the list, and a delight all week were at least 25 Red-rumped Swallows. I've only ever seen, or been aware of, two before – one at Unstead and the other at Beddington last year, but here they were as common as Barn Swallows. 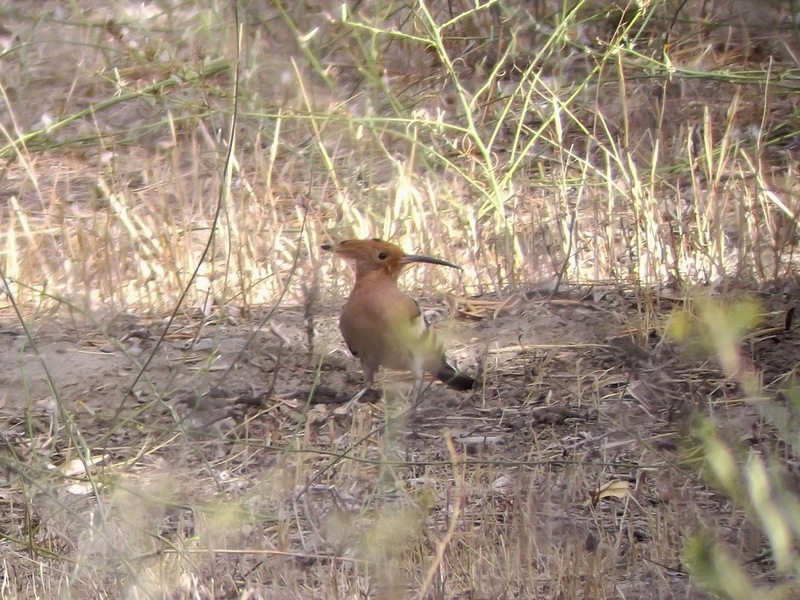 Next up a couple of Bee-eater called out down in the valley, and showed for a few minutes while feeding before flying off. What next? A male Sardinian Warbler, one of a pair that would flit around the garden patch all week, scratched its song in the olive groves. Later, appearing low to the south before soaring and then gliding out of view, a Booted Eagle was on the hunt for food, and would become another regular visitor during the week. 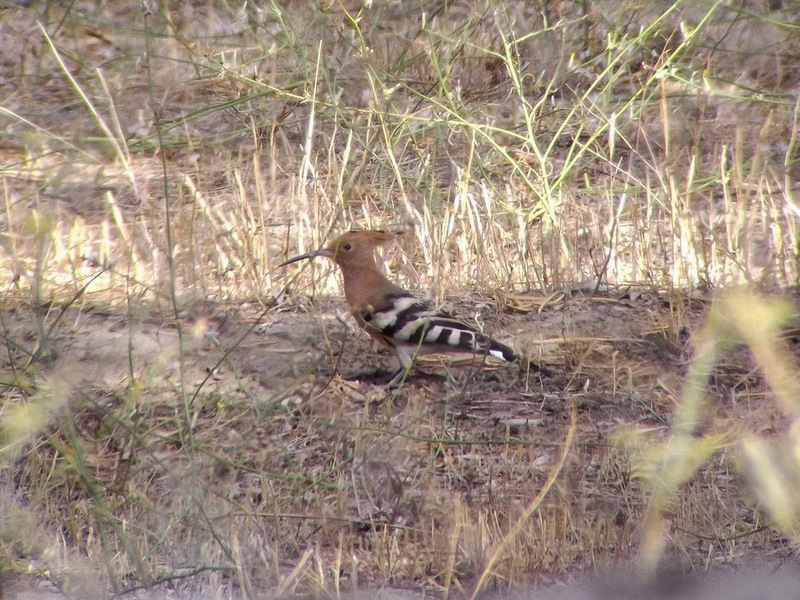 Walking around the eastern edge of olive groves I looked over to the neighbour's garden and instantly spotted a Hoopoe at the same time the Hoopoe spotted me. There was a bit of a stand-off. He was staring at me, not moving a muscle and I was doing the same back at him. I managed to take a few images through the scope before the Hoopoe decided that was enough and flew over to another garden. The Hoopoe would appear every day, sometimes I would flush him out accidently or I would see him flying across the garden to another feeding spot. Another resident bird, or birds, were at least six Little Owl, screeching around the place on and off throughout the day. I didn't wait long for an excuse to travel up the mountains. 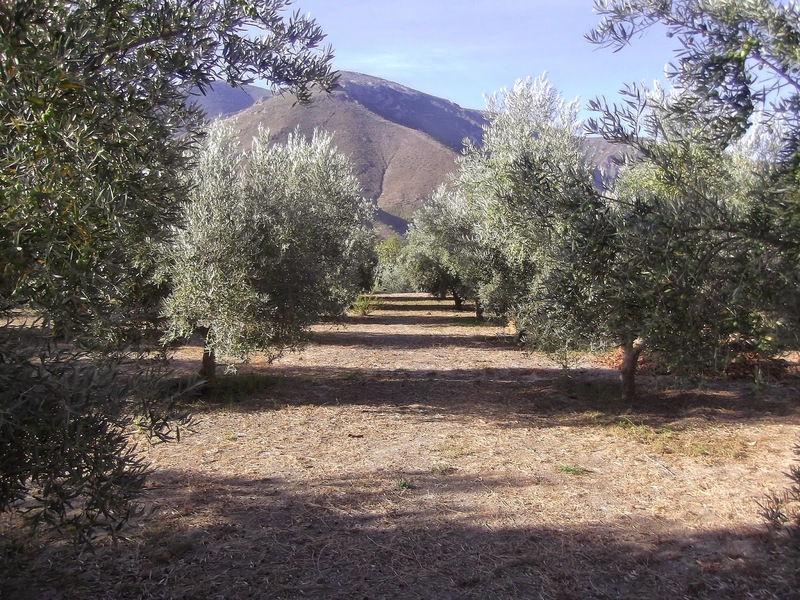 I was up and about early, just as the sun rose and was soon heading off up the road north of Orgiva, past the first of the popular tourist destinations in the area, the three white villages of Pampaneira, Bubion and Capileira and on towards Trevelez. After a brief stop to watch and listen to a small flock of Spotless Starlings I parked up en route over a promising valley. It was one of those moments that can only happen by good fortune. 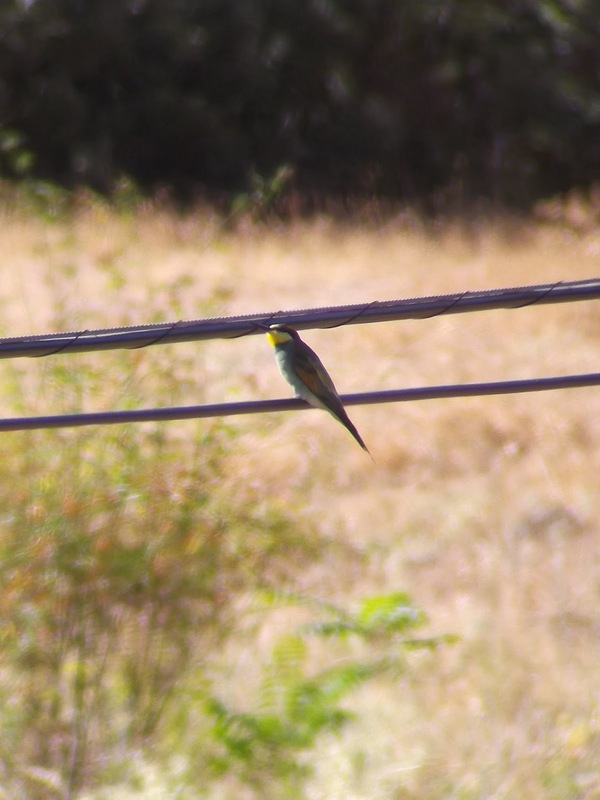 As soon as I got out of the car, I heard Bee-eaters. A lot of them. Below I could see them flying across the canyon and then up over the mountainside behind me. There must have have been at least 20 of them. 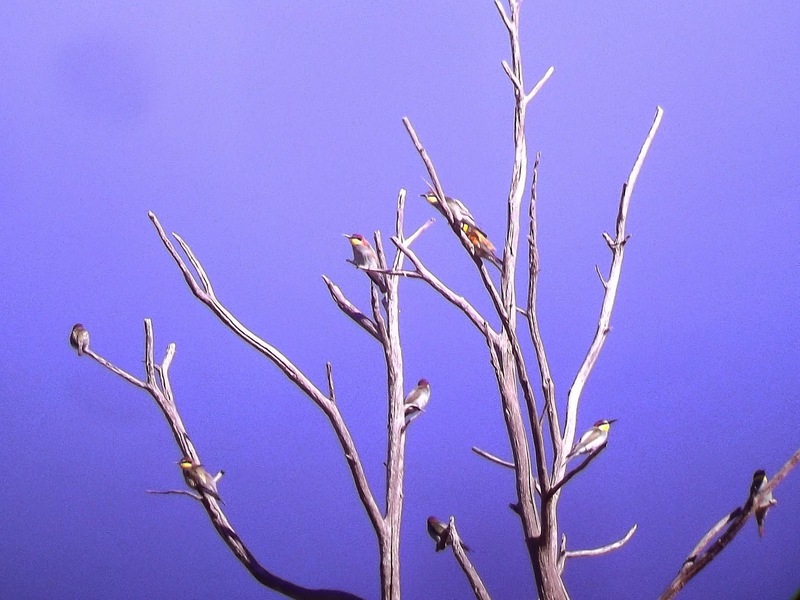 While these fantastic birds flew out of view, but heading in the direction I was intending to drive towards, I noticed three small birds perched on a dead tree branch – three Serin. This was a very good start to the morning. Also I saw another Sardinian Warbler scampering around the shrubbery and three Kestrel gliding around the area. I hoped they may be Lesser Kestrels, but then one called like a Kestrel so those hopes were dashed. 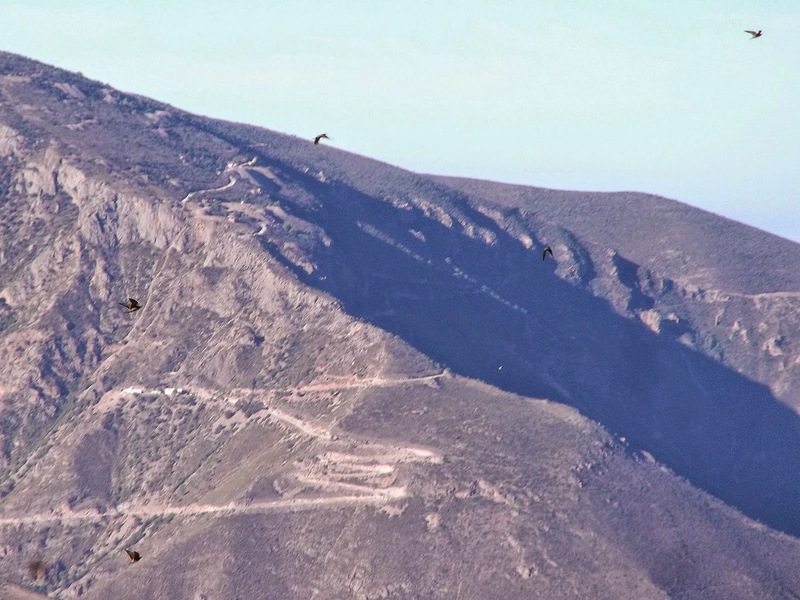 Driving up the mountain further I noticed a large eagle soaring high above the mountains but I couldn't stop to check it out. I looked big enough to be a Golden Eagle but I will never know. So, onwards up the mountainside. What happened next will live long in the memory. 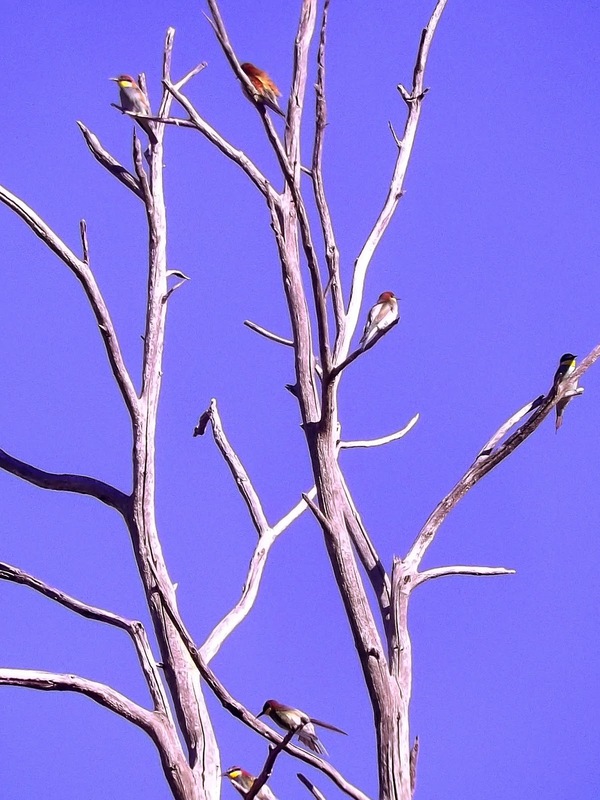 Around a sharp bend before a narrow bridge I looked up and there were the Bee-eaters again. I managed to find a spot to pull over off the road and as a result was able to take in an amazing spectacle. 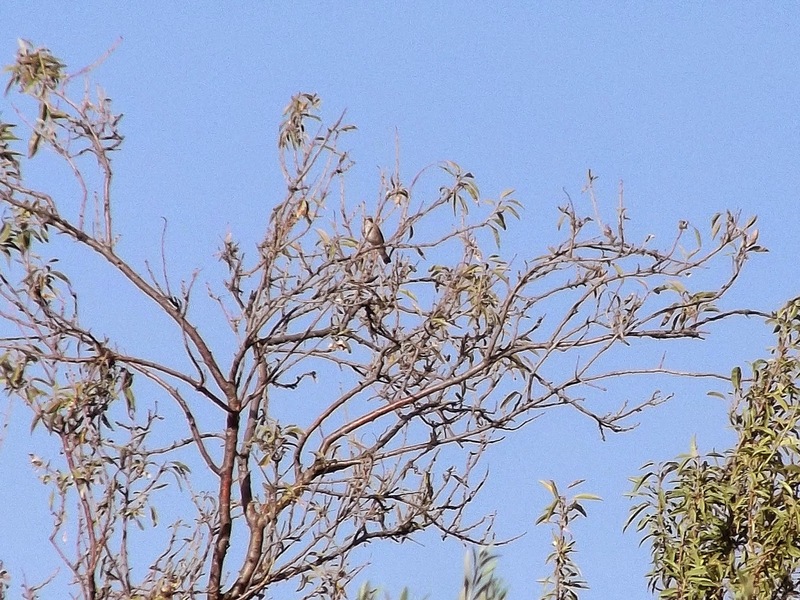 There must have been at least 50 Bee-eaters perched in the trees or flying around feeding. 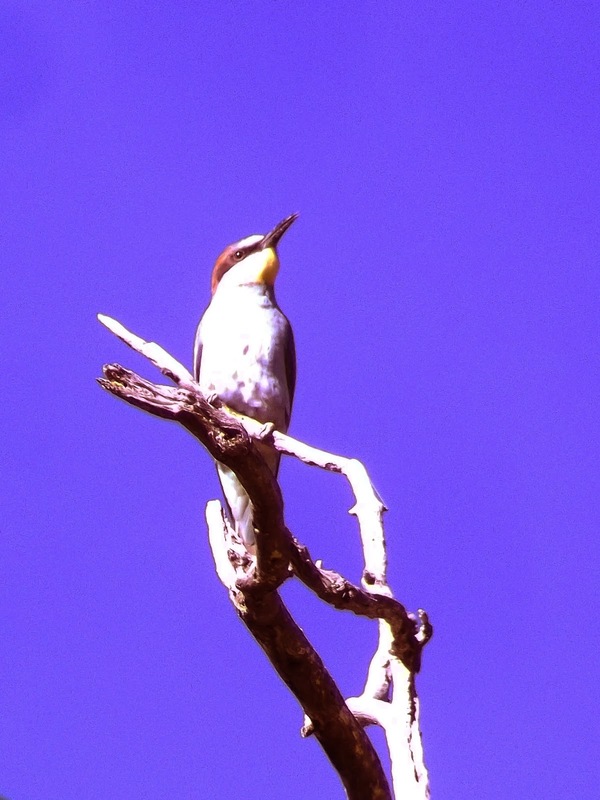 It was just me and the Bee-eaters. A Zen-like moment I won't forget. I was surrounded by them. It was a truly magical few minutes of the birding part of the holiday. They were everywhere. Wonderful. Unfortunately, the crap camera I took with me couldn't capture the moment. Any pointing up at the sky resulted in out of focus shots, or they were over-exposed. A shame. But despite that the spectacle was awe-inspiring. I felt like a very lucky man. 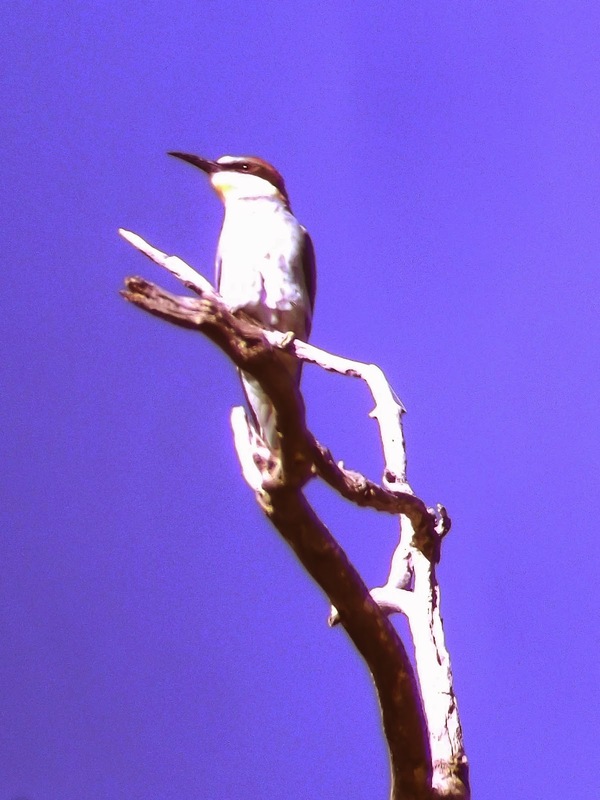 Over-exposed rubbish digiscope shot of a juvenile Bee-eater. While I was close to Trevelez it was really time not to be selfish and head back. But the birding didn't end there. 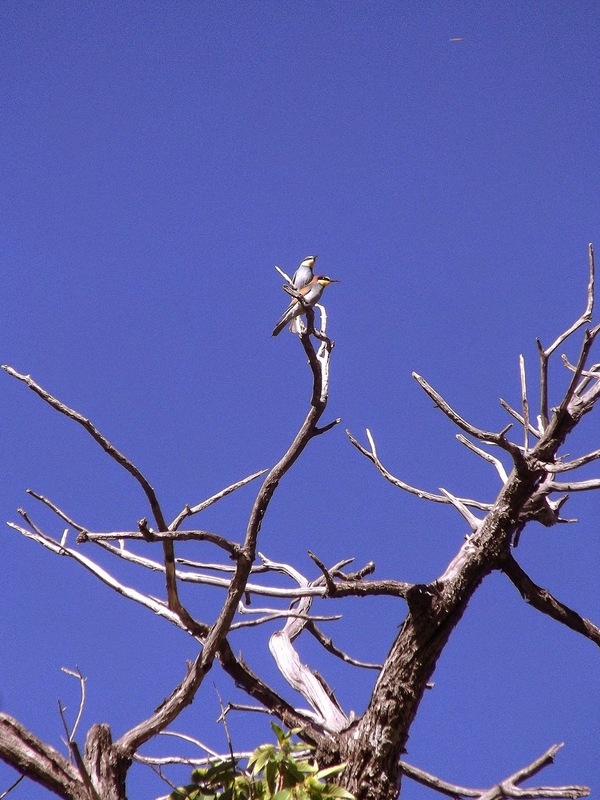 Driving back down the mountain I noticed a small eagle soaring around the small village of Pitres. 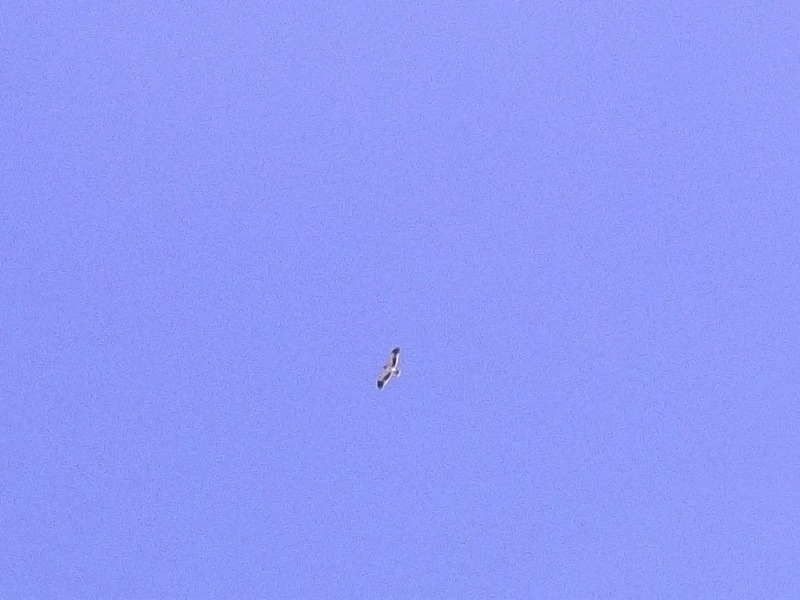 The black and white underside of the wings gave it away as a Booted Eagle. Further down the road, past the three villages I spotted another eagle soaring high above the mountain tops. 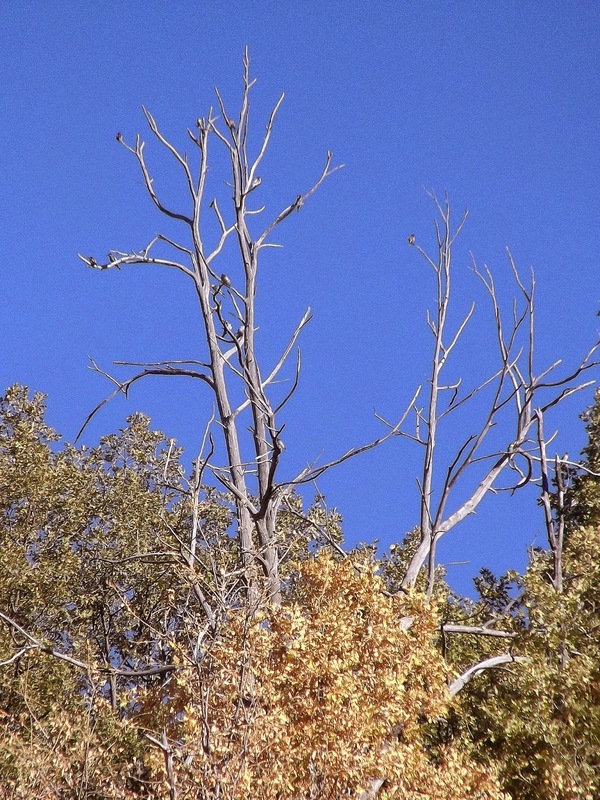 This one was bulkier and was easy to identify, as it is a typical bird of the area -– a Short-toed Eagle. Back at the villa, another walk around the olive groves a smart female Pied Flycatcher flew up into the bushes – a bird I wasn't expecting. 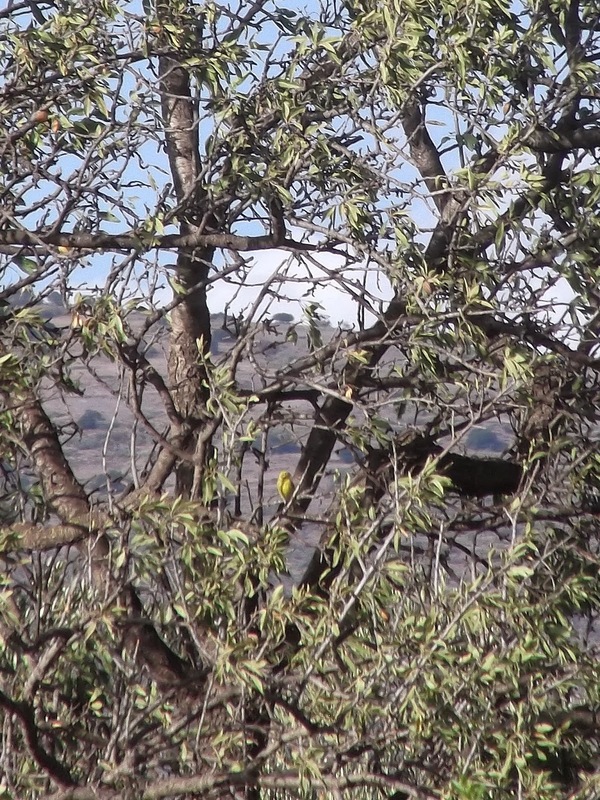 Then, while dozing by the pool later in the afternoon a bright yellow bird dived in the trees that bordered the villa to the north – another Serin. Later, in the same batch of trees a Spotted Flycatcher appeared and showed well for a while. I'm not an experience birder abroad – this was my first conscious effort to log all the birds I had seen but to me it had been a fantastic couple of days. Birds you would cut your right arm off to see in Britain were around the next corner here. In British birding terms I had seen three megas, two rarities and two scarce species. The first couple of days had been amazing.